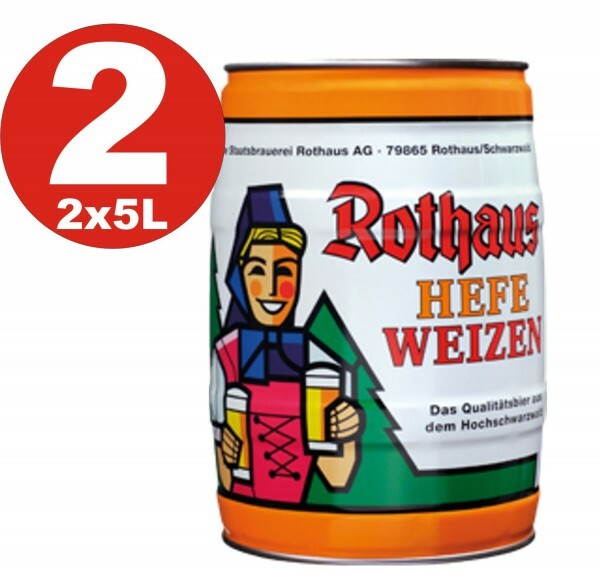 Product information "2 x Rothaus Hefeweizen 5 L Party Box 5.4 vol%"
Wheat is an important and typical flavor carriers in this type of beer. As with all other beers we also work with the Rothaus Hefeweizen with a slightly higher original gravity of 12.5%. In addition to the fine hop bitterness (13 bitterness units) Rothaus Hefeweizen has varietal another important flavor component of the yeast. In this type of beer is no company, but a top-fermenting yeast used. In contrast to our other beers the unfiltered Hefeweizen come to bottling. Related links to "2 x Rothaus Hefeweizen 5 L Party Box 5.4 vol%"
comment "2 x Rothaus Hefeweizen 5 L Party Box 5.4 vol%"
Customer evaluation for "2 x Rothaus Hefeweizen 5 L Party Box 5.4 vol%"